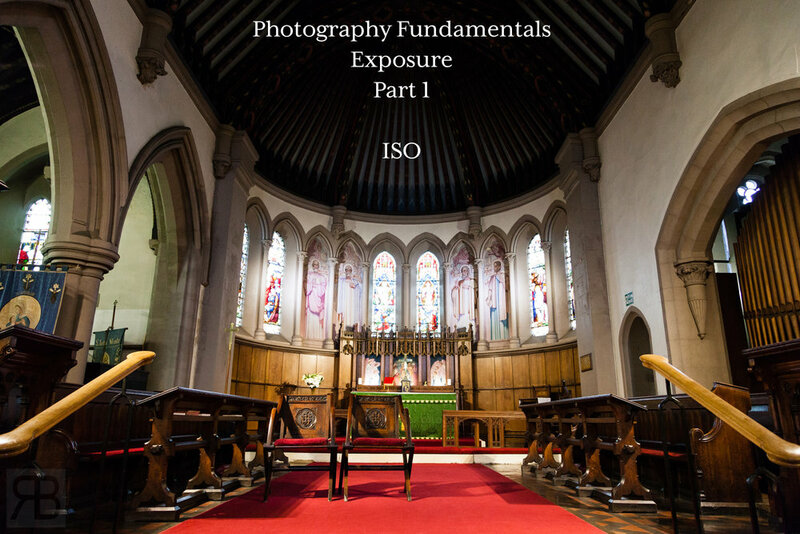 If we decrease the ISO we reduce the exposure, the amount can be 1/3rd, 2/3rd or a full stop. If we decrease the ISO 1 full stop we half the amount of light. If this sounds confusing look at the table below which shows the 1/3rd and full stop values for ISO. Your camera may not show 1/3rd stop ISO values or may have a shorter range, don't let that worry you. Also you may have to enable 1/3rd stop values in a custom function and I recommend doing so. ISO slide from my Let's Get This Lit workshop. * Get to konw these ISO values. As we increase the ISO we increase the exposure again by either 1/3rd, 2/3rd or 1 full stop we make the camera more sensitive to ANY light within a scene. Also if we increase ISO by one stop we are doubling the amount of light. ISO will affect ANY light. · Available Light in a room. - Room Lights. You get the idea. The video below breaks ISO and exposure own further for you and visually shows you it's affects. Why Would You Use a Higher ISO? High ISO is normally considered something only needed for low light scenarios but that could not be further from the truth. Below are a few reasons you may need to increase your ISO on a shoot/job. Shooting Wildlife on an over cast day. A higher ISO will allow you to obtain a faster shutter speed to stop the movement of an animal. Shooting Sports. A higher ISO will help obtain faster shutter speeds. To balance out the dim/low light in a scene with flash. During a wedding ceremony in a dark church. A higher ISO will give you usable shutter speeds to hand hold the camera and a longer lens as well as deal with moving subjects (bride walking down an isle). The above are just a few reasons and scenarios where you might want to increase your ISO. Let's look at the image above. I am in a church on an over cast day and it's pretty dark, not the darkest I have worked in but it's definitely a low light situation. The bride and groom are walking back down the aisle and I am moving backwards to track them and shoot a series of images. My camera (Canon 5D Mark II) is set on continuous focus with all AF points active and I am shooting with a 35mm lens at F1.8 to give enough depth of field for my working distance, keeping them in focus. I'm moving, they are moving so I need a shutter speed fast enough to deal with this and that shutter speed is 1/160th sec which meant an ISO of 3200. My cameras will shoot higher ISO but I try to keep it at 3200 or below if possible. Without 3200 ISO this photograph would of been a blurry mess or ... fine art. Want to know the last thing that I am worried about when shooting a wedding and using higher ISO's ? Noise.. I just don't care and am too dam busy to worry about it. For the image above we are outside the church & all set for the confetti throwing. The light is still quite over cast so not a ton of it, but better than inside. I am shooting on a full frame camera (5D Mark II) and a 35mm lens and for this scenario I need enough depth of field to cover everyone in acceptable focus as well as a fast-enough shutter speed to stop the action. This meant ISO 1600 even though we are outside. Using ISO 1600 got me to F5.6 and 1/320th sec. This series of posts/videos ( and future ones ) will help you understand all of the technical fundamentals so you can apply them when working. If you want to be a working photographer you need to get all of this figured out before you start asking people to pay you. If you have any questions post them in the comments section below.